Community Supported Agriculture (CSA) is a partnership of consumers and farmers. CSA members provide a guaranteed market and income to produce food for a growing season. The farmers provide weekly shares of fresh, seasonal, organically grown produce. Both partners share in the risks and rewards of small-scale farming: weather, insect damage, and bumper crops. Families and individuals who join the CSA receive a share of produce every week during the growing season paid for in advance. a chance to meet other members during distribution days, and special events. security in the knowledge that your money is supporting the future of a local farm committed to sustainable agriculture. CSA is basically an opportunity to create a connection between the we the farmers and the eater. Together we form a community to enjoy and experience a season of growing and eating. We provide organic, fresh, tasty, and healthy food, in return for support by appreciative members. Member shares will be delivered to a central location(s) on a weekly basis for a ten to twelve week growing season. We will have several growing seasons throughout the year. 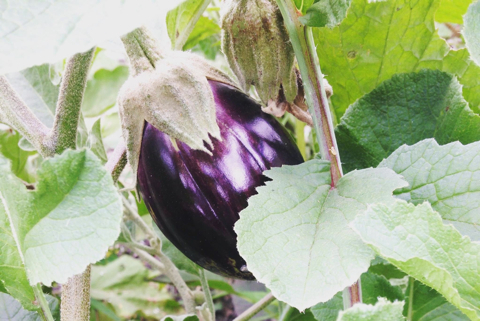 Included in the delivery would be traditional vegetables that you should be familiar with like carrots, cabbage, sukuma wiki, lettuce, spring onions, tomatoes - along with some less common vegetables like eggplants, nasturtium etc to help add some variety to your kitchen. 12 weeks of the freshest produce from the garden for the week.The share size is appropriate for 3-5 meals, depending on eating habits. KShs.7,200/- due on December 17th 2015. Early bird special KShs.6,000 if you pay by November 17, 2015. You can join growing seasons mid-season. More growing seasons will be announced as the year progresses. Pay the full amount via M-pesa to 0712657888. Payment must be made at least 30 days prior to the first delivery date of each season. For mid season enrollment, you will receive a response to your initial email with further information.